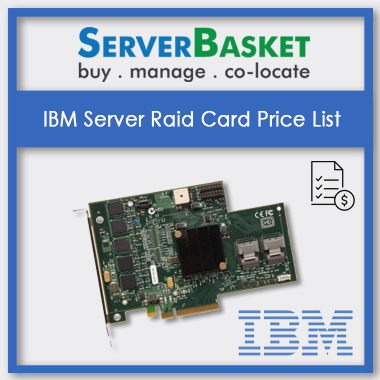 Server Basket is one stop solution for all your server needs either new servers or used Refurbished servers. We present the most reliable, budget-friendly and customizable Dell Used Refurbished Rack Server to support all your application workloads and business needs. 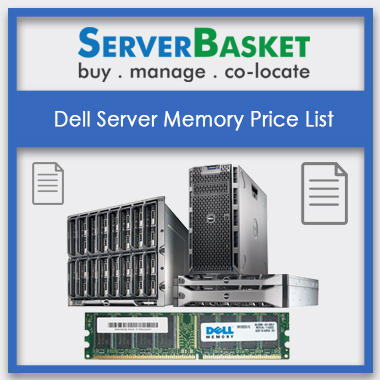 Here we present Dell Used Refurbished Rack Server price list from the entry-level server to top end fully loaded server, the wide range of configurations and price estimations. We present all models of Dell PowerEdge servers dell 2950,2850,1950,1850, Rack servers R510, R610, R710, R810, R910, R620, R520, R420, R720, R820 and other tower series also. 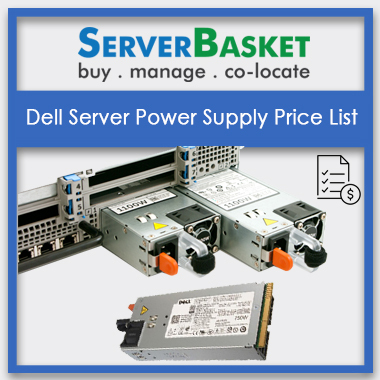 Check out the used Dell server’s price list on our website find a wide variety of server meeting your standards. We maintain the stock end to end Dell Used Refurbished Rack Server to meets everyone's needs with high performance, reliability, scalability and at very low maintenance. Our dell price list offers all tower, rack (Dell PowerEdge R510, blade and rack mount used Dell servers working just like brand new Dell servers and also comes with the warranty period. Our all grade A servers gives long life productivity matching industry top standards, offering great value for your money, flexibility and maximum performance. All the used Dell 1U, 2U, 4U rack servers on the price list are available at lowest prices and cost-effective solutions for small-scale business or startups. A1 grade used Dell servers are available on the price list at lowest affordable prices. We offer best server solutions to your business requirements within your limited budget. 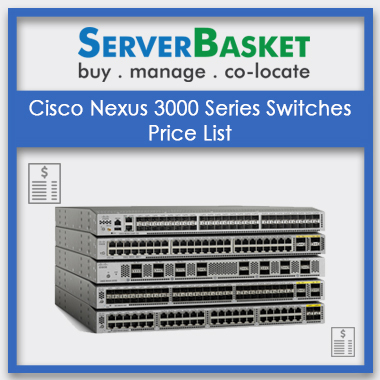 We have a huge range of used servers for sale depending on your business either a high level or mid-range or entry level and funds allocated to your server budget. We strive to offer lowest and affordable priced servers to our clients with optimum quality and best performance. 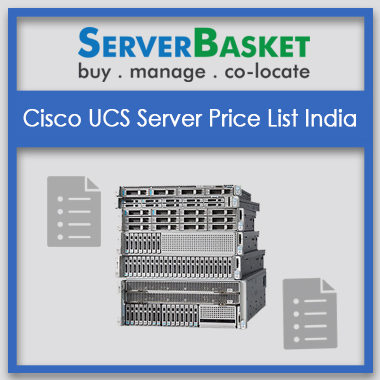 Our dell used server price list is ready to offer server on any budget. Undoubtedly refurbished servers offer the finest performance and long-term service. With the purchase of Any Dell refurbished server from server basket, you will add an extra benefit to your basket, i.e., support for our team 24/7 to resolve all your issues. When you buy a refurbished server, we offer a trouble free experience of no support engineer maintenance, server basket technical team will look after all the support needs remotely. An exclusive opportunity for one-year premium warranty on all the refurbished Dell servers along with premium support from server basket to resolve all the issues with used servers. Throughout the warranty period, we will replace or refund the component that fails on your server with genuine Dell EMC PowerEdge spare parts. 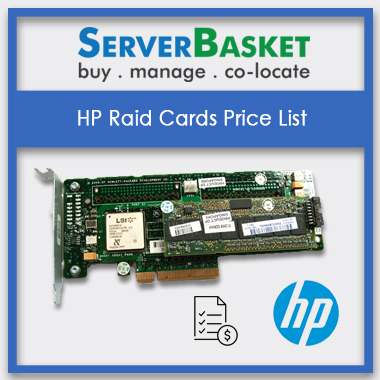 All our servers on price list come with full hardware replacement warranty. 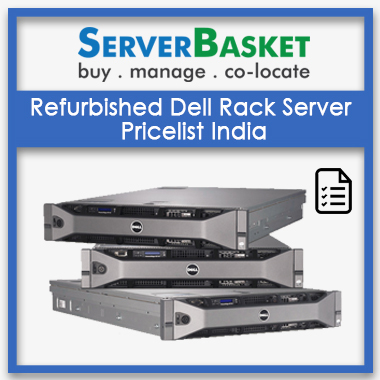 Server basket offers Free, fast and instant delivery any selected used Dell server to all locations in India without fail. We can immediately deliver the selected dell used server meeting your needs and specifications. You can count on us to offer safe delivery through reliable delivery services at your doorstep without any extra charges. Refurbish Dell PowerEdge R510 Server Bare bone with Intel Xeon 2 x X5650 Processor/ 32Gb (4x8GB) DDR3 Memory 2 x 1.2TB HDD / 8 DIMMS/8 LFF(3.5inch) Hot Plug Drive Open Bay / Raid Controller PERC 6i 128MB cache with battery (raid 0,1,5) / Hot Swap dual Dell 750W AC 240VDC Power Module / 2X1Gb Network /90 Days Warranty/universal rail kits/ 24x7 Support. Refurbish Dell PowerEdge R610 Server Bare bone with Intel Xeon Processor 2 x X5650 Processor / 32Gb (4x8GB) DDR3 Memory/ 2 x 1.2TB HDD/ 12 DIMMS/ 6 SFF (2.5inch)/ Hot Plug Drive Open Bay / Raid Controller PERC 6i 128MB cache with battery (raid 0,1,5)/ 2 PCIe slots / 4X1Gb Network /Hot Plug| Hot Swap dual Dell 700W/500W AC 240VDC Power Module / universal rail kits /90 Days Warranty/ 24x7 Support. Refurbish Dell PowerEdge R710 Server Bare bone with Intel Xeon Processor 2 x X5650 Processor / 32Gb (4x8GB) DDR3 Memory/ 2 x 1.2TB HDD/ 18 DIMMS/ 6 LFF (3.5inch) Hot Plug Drive Open Bay / Raid Controller PERC 6i 128MB cache with battery (raid 0,1,5)/ 3 PCIe slots / Hot Plug| Hot Swap 2 x Dell 900W AC 240VDC Power Module / 4X1Gb Network / universal rail kits /90 Days Warranty./ 24x7 Support. Refurbish Dell PowerEdge R420 1U server Only Barebone (No Processor, No RAM, No HDD)/ dual socket Processor / 12 DIMMS / 4 LFF bay (3.5inch) Non- Hot Plug Drive Open Bay / 2 PCIe or 1 PCIe slots / 6GBps H310 raid support (0,1,5) / single 550W AC 240VDC Power Module /2 X 1Gb Network / universal rail kits / 90 Days Warranty. Refurbish Dell PowerEdge R620 1U server/ Intel Xeon 2 x E5-2660V2 Processor/ 32Gb (4x8GB) DDR3 Memory/ 2 x 1.2TB HDD/ 24 DIMMS/ 8 SFF(2.5inch) Hot Plug Drive Open Bay / 6GBps Raid Controller PERC H310 (raid 0,1,5)/ 2 PCIe slots or 3 PCIe slots / 4X1Gb Network / Hot Swap Dual Dell 750W AC 240VDC Power Module / 90 Days Warranty/ universal rail kits /24x7 Support. Refurbish Dell PowerEdge R720 2U server/ Intel Xeon 2 x E5-2660V2 Processor/ 32Gb (4x8GB) DDR3 Memory/ 2 x 1.2TB HDD/ 24 DIMMS/ 8 SFF(2.5inch) Hot Plug Drive Open Bay / 6GBps Raid Controller PERC H310 (raid 0,1,5)/ 6 PCIe slots or 5 PCIe slots / 4X1Gb Network / Hot Swap Dual Dell 750W AC 240VDC Power Module / 90 Days Warranty/ universal rail kits /24x7 Support. Refurbish Dell PowerEdge R720 2U server/ Intel Xeon 2 x E5-2660V2 Processor/ 32Gb (4x8GB) DDR3 Memory/ 2 x 1.2TB HDD/ 24 DIMMS/ 12 LFF(3.5inch) Hot Plug Drive Open Bay / 6GBps Raid Controller PERC H310 (raid 0,1,5)/ 5 PCIe slots / 4X1Gb Network / Hot Swap Dual Dell 750W AC 240VDC Power Module / 90 Days Warranty/ universal rail kits /24x7 Support. Refurbish Dell PowerEdge R630 1U server/ Intel Xeon 2 x E5- E5-2620V4 Processor/ 32Gb (2x16GB) DDR3 Memory/ 2 x 1.2TB HDD / 24 DIMMS/ 8 SFF(2.5inch) Hot Plug Drive Open Bay / 6GBps 12GBps Raid Controller PERC H730 with 1GB cache and battery (raid 0,1,5)/ 2 PCIe slots or 3 PCIe slots / 4X1Gb Network / Hot Swap Dual Dell 750W AC 240VDC Power Module /IDRAC 8 express / 1 year Warranty /universal rail kits /24x7 Support. Refurbish Dell PowerEdge R730 2U server/ Intel Xeon 2 x E5- E5-2620V4 Processor/ 32Gb (2x16GB) DDR3 Memory/ 2 x 1.2TB HDD / 24 DIMMS/ 8 LFF(3.5inch) Hot Plug Drive Open Bay/ 12GBps Raid Controller PERC H730 with 1GB cache and battery (raid 0,1,5)/ 5 PCIe slots / 4X1Gb Network / Hot Swap Dual Dell 750W AC 240VDC Power Module / IDRAC 8 express / 1 year Warranty/ universal rail kits /24x7 Support. Refurbish Dell PowerEdge R730 2U server/ Intel Xeon 2 x E5- E5-2620V4 Processor/ 32Gb (2x16GB) DDR3 Memory/ 2 x 1.2TB HDD/ 24 DIMMS/ 12 LFF(3.5inch) Hot Plug Drive Open Bay / 12GBps Raid Controller PERC H730 with 1GB cache and battery (raid 0,1,5)/ 5 PCIe slots / 4X1Gb Network / Hot Swap Dual Dell 750W AC 240VDC Power Module / IDRAC 8 express / 1 year Warranty/ universal rail kits /24x7 Support.